It’s not often you can improve a superior product that has been trusted and relied on for more than thirty years. 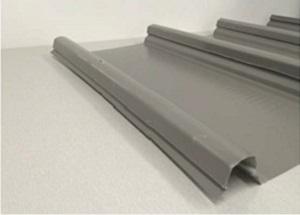 But advances in the waterproof design, ease of installation, and additional appearance options make the new Klip-lok 700 hi-strength roofing panels better than ever. 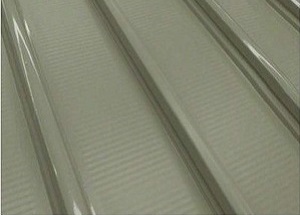 When you have a vision Klip-lok 700 Hi-strength steel roofing is there to embrace and enhance that dream design. Klip-lok’s stunning seamless long line profile creates an ever changing play with light and shadow that will mark your building as a special place in the hearts of your employees, clients and community. Klip-lok 700 Hi-strength - the roofing of choice for large commercial, industrial, community, educational buildings and flat residential roofing. ﻿﻿﻿﻿What Makes Klip-lok So Good? For more than thirty years Klip-lok has proven itself as a superb choice for roofing or wall claddings including curved applications. Stunning appearance: long-lines and seamless panels create a beautiful iconic profile. Reduced structural costs: Long-run Klip-lok requires fewer supporting purlins saving you money and time in the construction phase. Reduced installation costs: Installation is faster—another big saving. Reduced maintenance costs: Fewer and more reliable sheet joins cut down on the need for inspection and routine maintenance. Superb weatherproof ratings: Fewer joins and the reduction or elimination of screw piercings means fewer opportunities for water penetration—it’s that simple. Plus, you can enrich your vision with a broad range of exciting colour options. 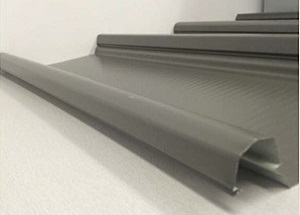 Klip-lok 700 Hi-strength is available in the standard range of COLORBOND® steel colours, COLORBOND® Ultra colours – for use in more corrosive environments – such as coastal regions, COLORBOND® Metallic Colours – for when you need that high end architectural finish and also in unpainted ZINCALUME® steel. Klip-lok 700 has been tested and approved for a variety of climatic extremes including wind uplift. This approval certification is recognised by insurance providers and may result in lower insurance premiums for you. Lysaght’s unique Lok-klip end and expansion joint system is the perfect partner to the Klip-lok panel. Zincalume brackets and custom shaped polyethylene strips eliminate ugly step joins that are vulnerable to water penetration. Lok-klip is approved as suitable for cyclonic conditions and, requiring no special tools, is easy to install. Klip-lok has always been an optimal roofing solution but now it’s even better. ﻿﻿﻿﻿The Features of the Klip-lok 700 Hi-strength? It’s hard to believe that the Klip-lok could be improved further but Lysaght have introduced some special innovations. These new advanced features cement Klip-lok’s place as the roofing choice for large-scale roofing with style. ﻿﻿﻿﻿Are There Any Installation Challenges? One of the great features of Klip-lok 700 has always been its ease of installation. Now, Lysaght, continuing its tradition of 150 years of constant product improvement and research, has developed the mobile roll-forming technique making long-run roofing installation easier than ever. 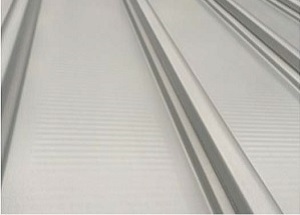 A trailer-mounted rolling machine can produce unbroken lengths of continuous sheeting up to 80m long on site and on to the roof in a revolutionary one-step process. Panels can be delivered directly to the roof from the rollformer (for buildings up to 12 metres) eliminating the need for stacking or cranes. No.1 Roofing recently supplied the roll to roof process on the 24 hour K-Mart project at Blacktown – this meant that the store was able to stay open for trading with minimal disruption to customer flow. Remember the bad old days when you had to order bulk materials from the factory, unload and stack them, cut sheets to size with excessive wastage that had to be disposed of? Not anymore thanks to Lysaght. The modern visionary profile of the Klip-lok 700 Hi-strength roofing continues Lysaght’s remarkable 150-year-old tradition of supplying exceptional steel products for the Australian market. It’s just another example of their dedication to the art of superior roofing. When you choose an exceptional roofing product it goes without saying you need the superior expertise of a trusted installation team to erect it. We consistently work with our preferred customers to bring end users high quality installs. Contact us for further information about installation and we can put you in touch with the right installer for your works. 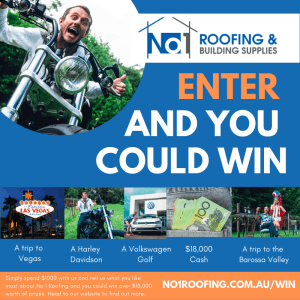 No1 Roofing, one of Sydney’s finest roofing stores, are the suppliers of choice for Klip-lok 700 Hi-strength roofing. No 1 Roofing, in partnership with Klip-lok 700 Hi-strength will give you a roof that will stand the test of time.